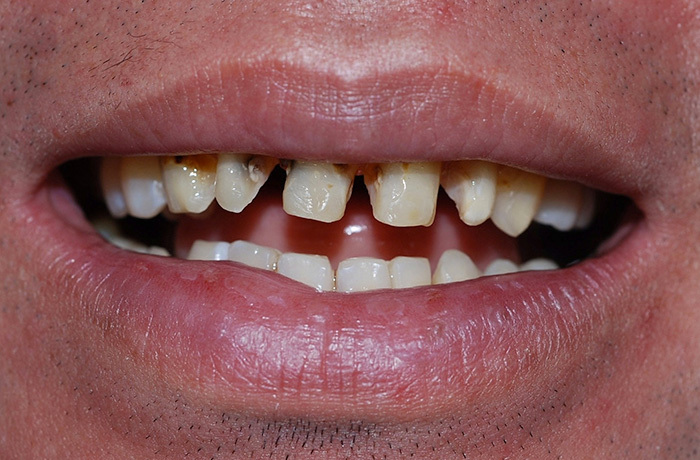 Male patient in his mid-thirties presented with decay and misaligned teeth. Patient had orthodontics to align the teeth so properly proportioned crowns could be fabricated. 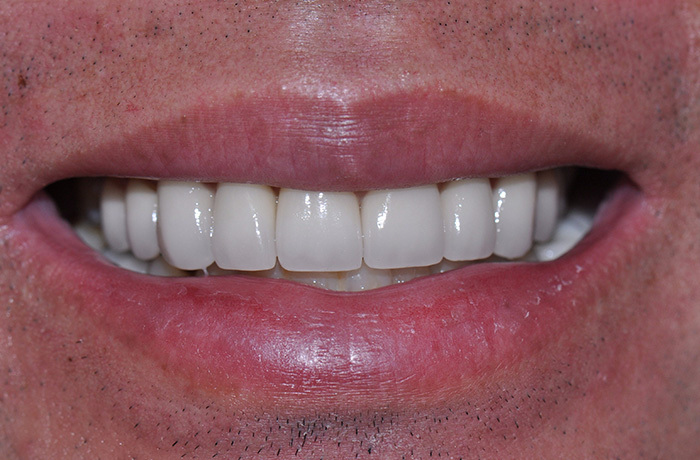 Dr. Spelman placed ten porcelain crowns on the upper front teeth. 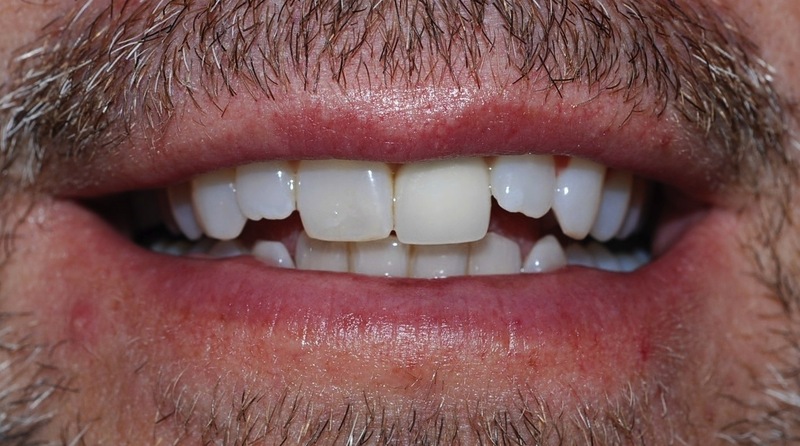 Male patient in his thirties was unhappy with the irregular appearance of his upper front teeth. 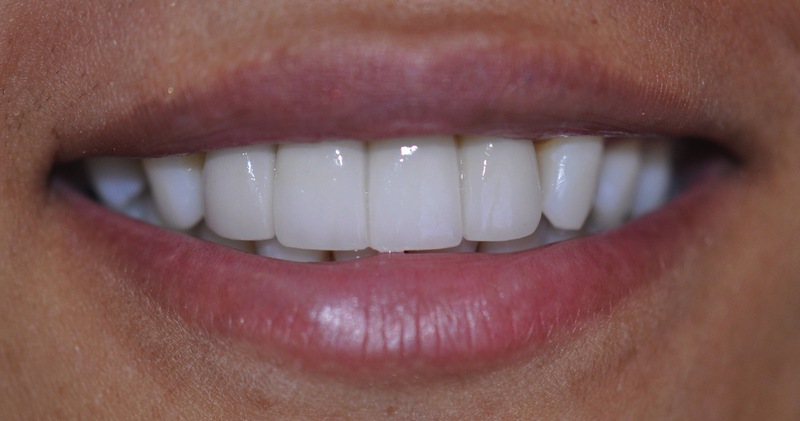 Dr. Spelman place four porcelain veneers creating a more even and proportional smile. Female patient in her early thirties presented with a porcelain fused to metal bridge (four front teeth) that was off color and unattractive. 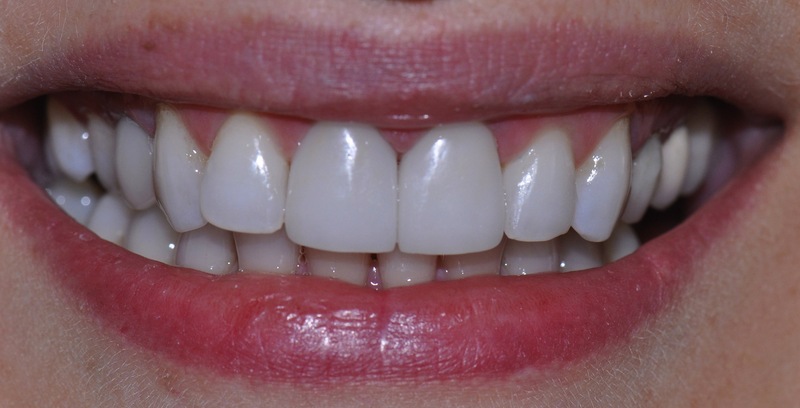 Dr. Spelman contoured her existing canine teeth and created and placed a four tooth crown zirconium bridge resulting in a more natural look that blended with her existing teeth. Dr. Spelman also performed laser gum contouring to improve her smile line. 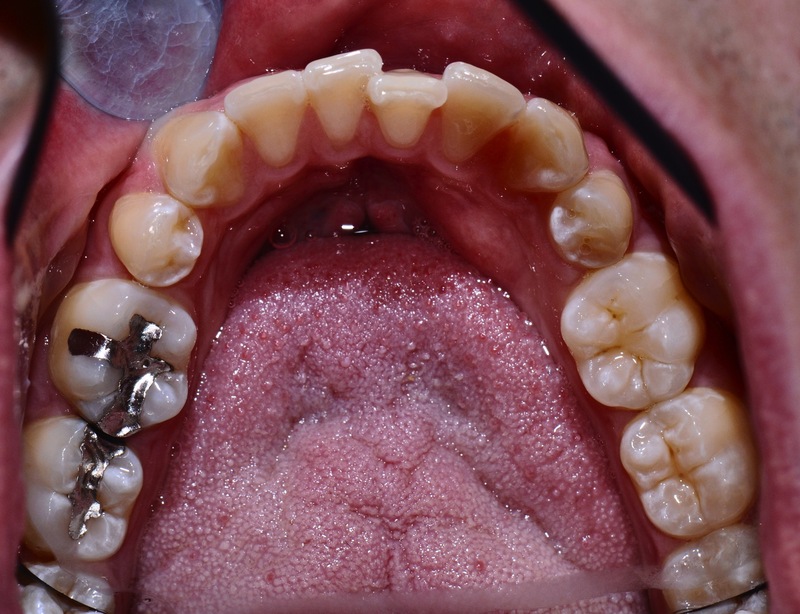 Female patient in her early sixties presented with an entire mouthful of worn and failing porcelain fused to metal (PFM’s) crowns. 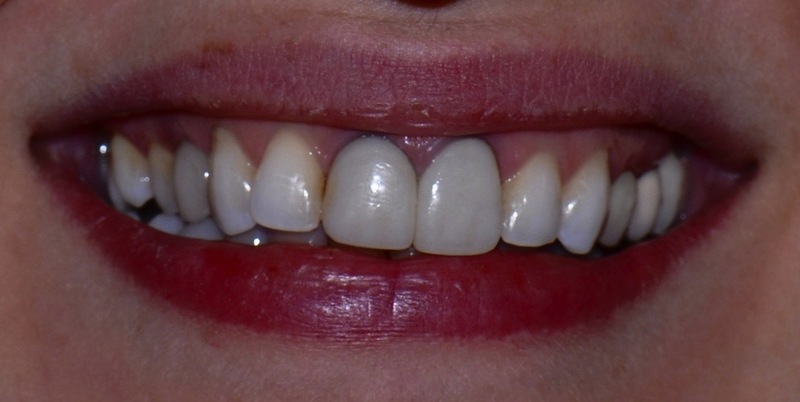 Patient was unhappy with the appearance, shape and color of her teeth and smile. Dr. Spelman opened her bite to provide the needed space to give her a more youthful and proportional tooth length. Dr. Spelman then replaced her existing PFM’s with porcelain crowns. 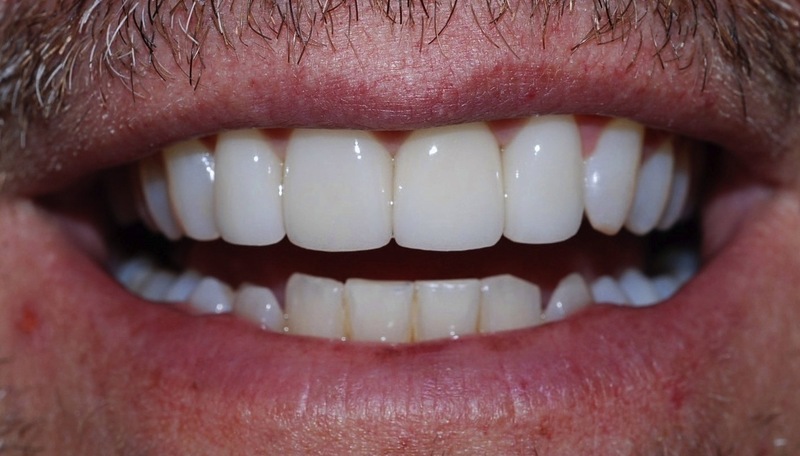 Male patient in his mid-twenties presented with misaligned lower teeth. Dr. Spelman did Invisalign to straighten his teeth and also replaced the amalgam (metal) fillings with tooth-colored composite fillings. 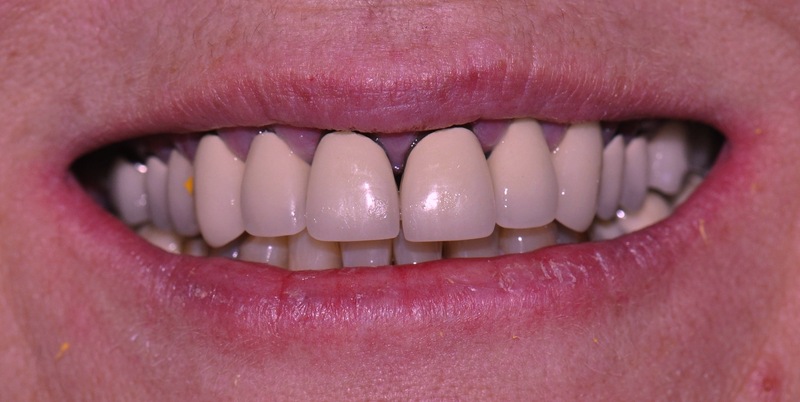 Female patient in her early fifties presented with old, failing porcelain fused to metal crowns that were unattractive and showing metal at the gum line. Dr. Spelman performed orthodontics to align the teeth, improving her bite and reducing the chance of wear on her new porcelain crowns. 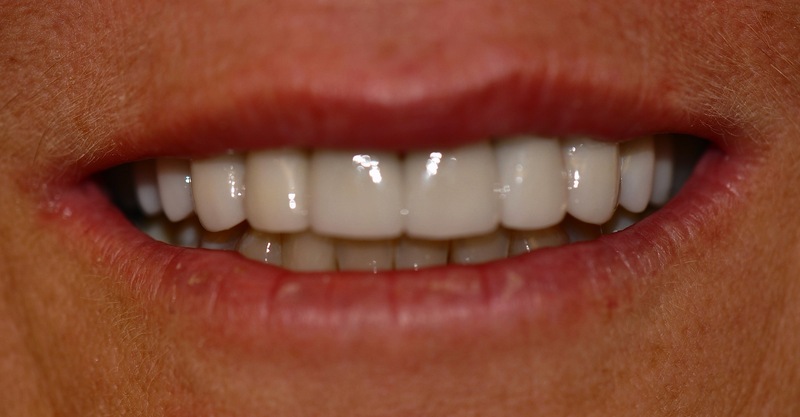 Dr. Spelman placed 14 porcelain crowns on her upper teeth. 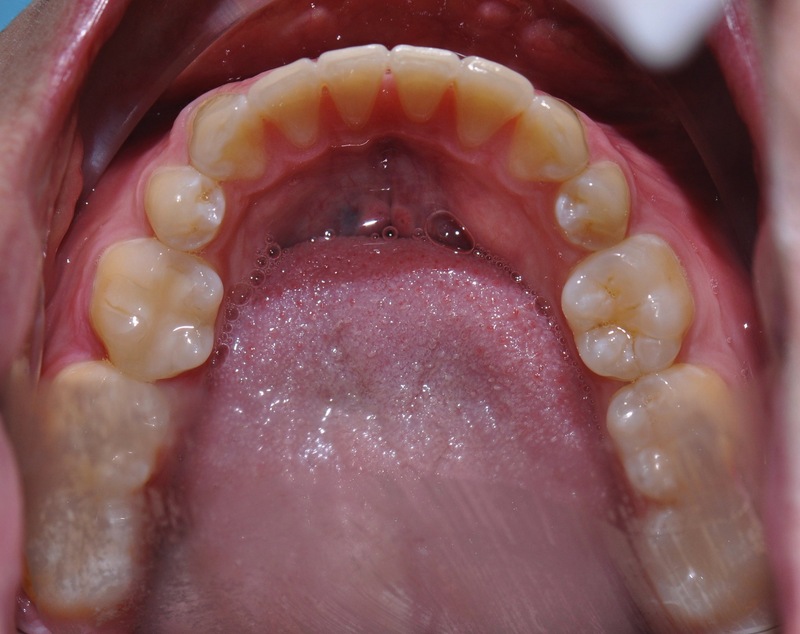 Female patient in her thirties presented with two unattractive porcelain fused to metal crowns on her two front teeth. 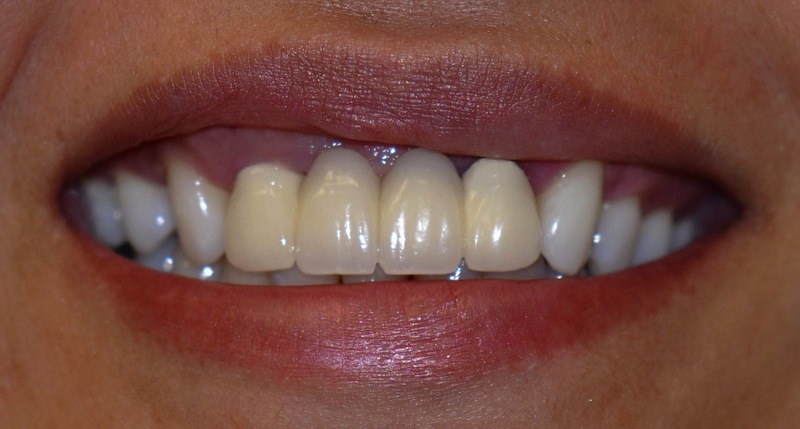 Dr. Spelman replaced them with two zirconium crowns that blended in color and shape with her existing upper teeth.